Cavalier playmaker Alex Marshall prays before a match earlier this season. 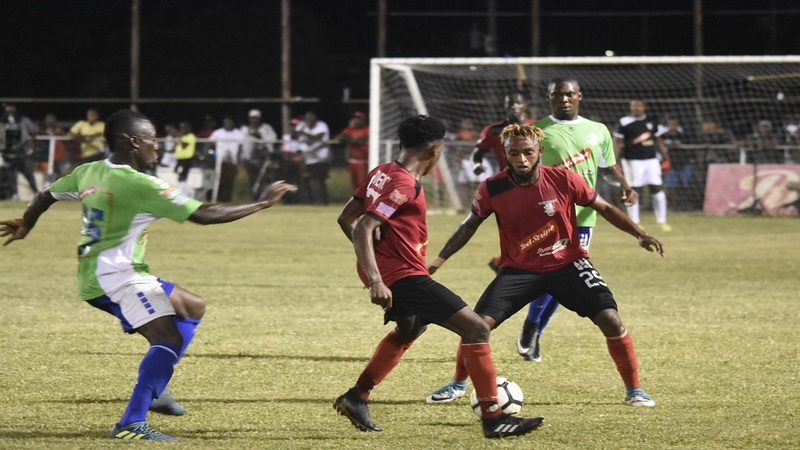 Cavalier can take the lead in the Red Stripe Premier League on Monday should they overcome a usually hostile crowd at Anthony Spaulding Sports Complex and Arnett Gardens in the live televised match starting at 8:35 pm. 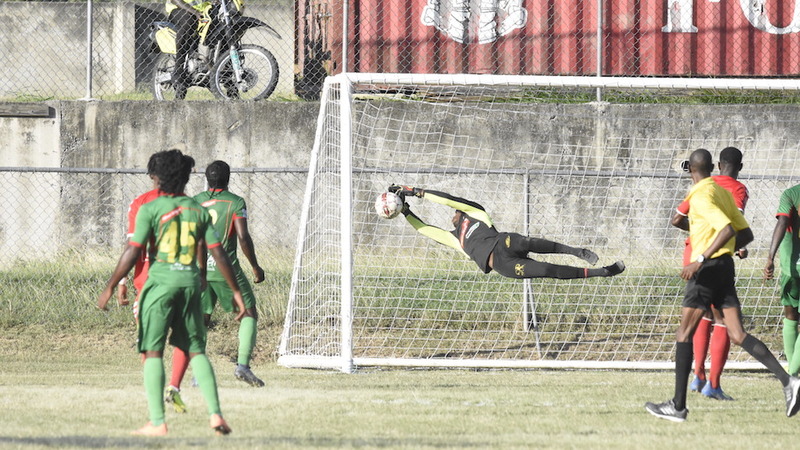 The Rudolph Speid-coached Cavalier, on 41 points, need to win by at least two clear goals to jump from third into first position, overtaking defending champions and leaders Portmore United, who are on 44 and Waterhouse on 42. 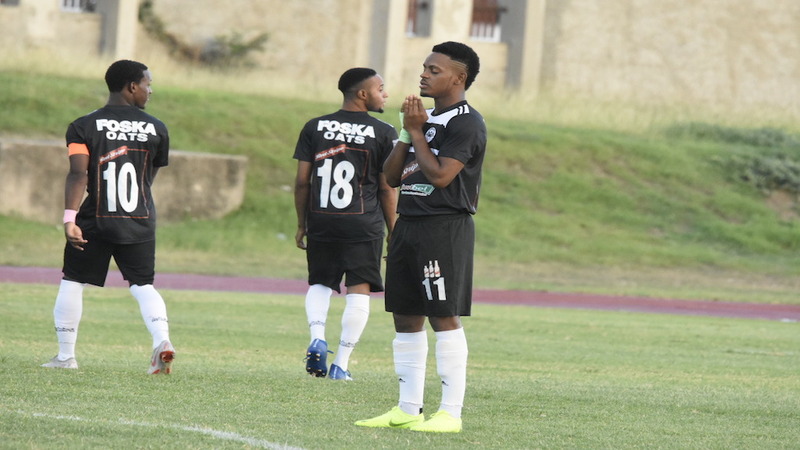 A single goal in victory for Cavalier will result in them only moving ahead of Waterhouse as they would join Portmore on points and goal difference of 12, but, in the second tie-breaker, the champions have scored 33 goals to Cavalier’s 26. Against Arnett, Cavalier will face one of the toughest teams in the league, especially at their fortress in the ‘Jungle’, where they have garnered 24 of their 34 points to be the league’s top home team. So far this season, the attacking flair of Arnett Gardens have not been evident, which they will need to break down a stubborn Cavalier defence, which has conceded 15 times this season, the second least of the 12 teams, bettered only by Mount Pleasant Football Academy’s 14. Arnett will also be cognizant that Cavalier is the second best travelling team, as they have garnered 23 points on the road, topped only by Portmore’s 25. They will also be fighting their own battle of trying to stay among the six teams that will qualify for the next phase of the competition, as currently they are precariously placed as the last of the lot in sixth, being ahead of Tivoli on goal difference. A victory will shoot Arnett into fourth spot, moving them ahead of UWI and Mount Pleasant who are on 36 and 35 points respectively. On the pitch, both teams possess quality within their ranks to outperform their opponents.